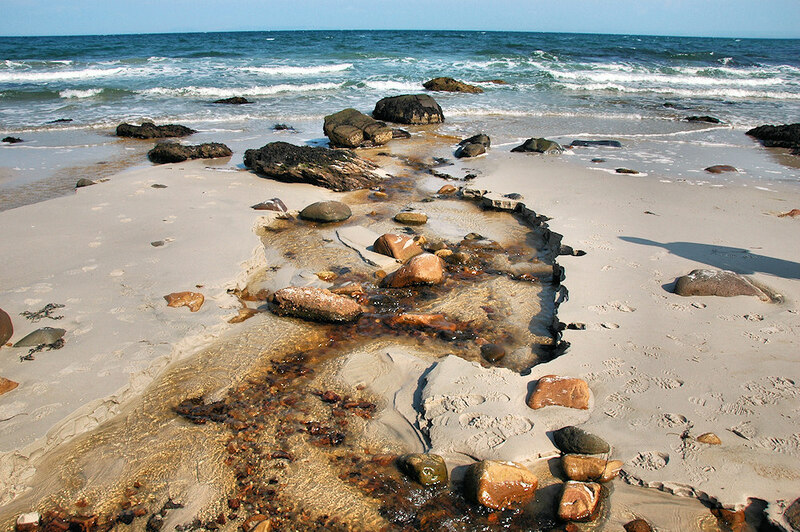 A beach in the south east of Islay (near Proaig), a burn from the hills runs across the beach into the sea. I’m not certain, but I believe it is Allt a’ Ghlinne Dhuibh, between Proaig and McArthur’s Head. This entry was posted in Beaches, Landscape, Repost, Sunny Weather and tagged Allt a' Ghlinne Dhuibh, Islay, McArthurs Head, Proaig by Armin Grewe. Bookmark the permalink. @islayblog what’s a ‘burn’? – isn’t it when things catch fire? @islayblog so why not say ‘stream’?? @LoneTreeBeer because I quite like the term and most people locally use it.